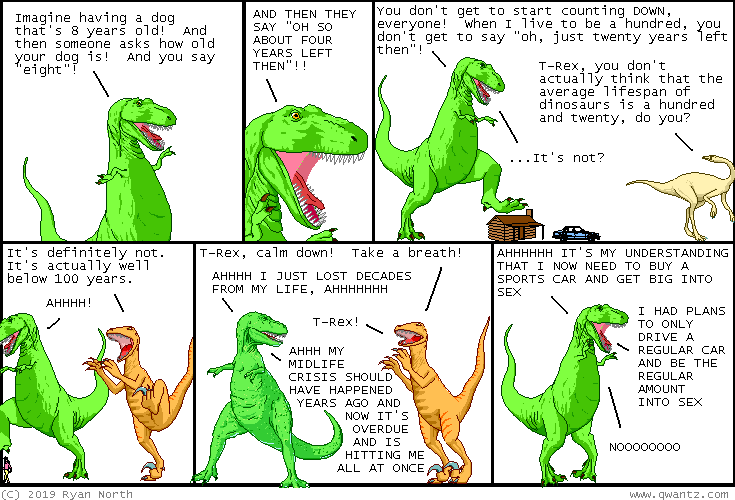 Dinosaur Comics - April 12th, 2019 - awesome fun times! –Or should I say... that is US? ?